The ATSU ITS Service Desk is the central point of contact for problems and questions concerning technology at ATSU. Support staff will make every effort to resolve your problems or answer your questions. When appropriate, your issue may be assigned to another group for resolution. 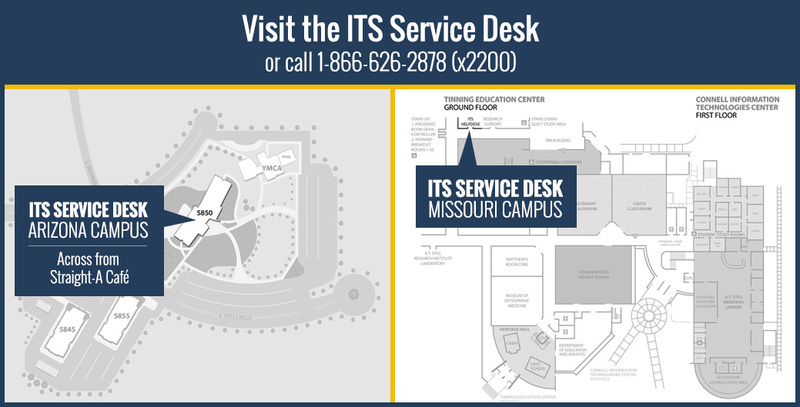 ITS Service Desk services are offered to all ATSU Employees and Students. This service is available 24 hours a day, 7 days a week, 365 days a year. During normal business hours the service is staffed with internal support specialists. After-hours, weekends, and holidays are staffed with our call center partner. To provide staff development and leadership. The Academic Technologies group assists the academic content creators and promotes standards and best practices for creating, distributing and sharing academic content University wide. This group is responsible for administering the object repository and learning management systems and to maintain consistency across the University.